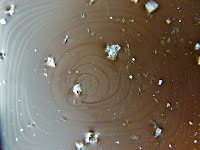 Today was Day #4 of Chocolate and Salt Theme Week. 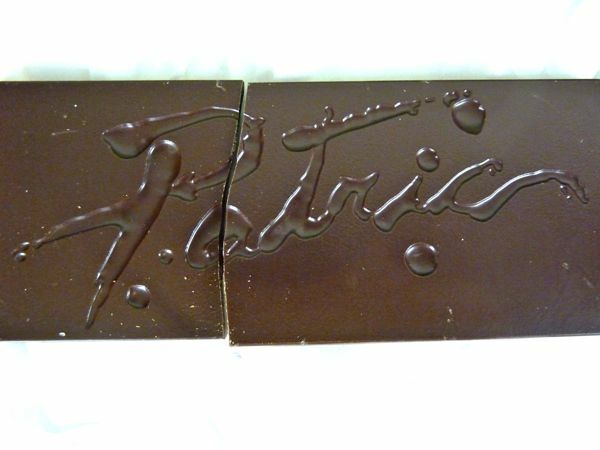 This new 70% bar from Patric Chocolate (Columbia, MO) was stamped with the painterly "Patric" signature on the front, and was sprinkled with two different types of salt on the back -- giving this side the look of a dark chocolate galaxy swirled with salt stars. 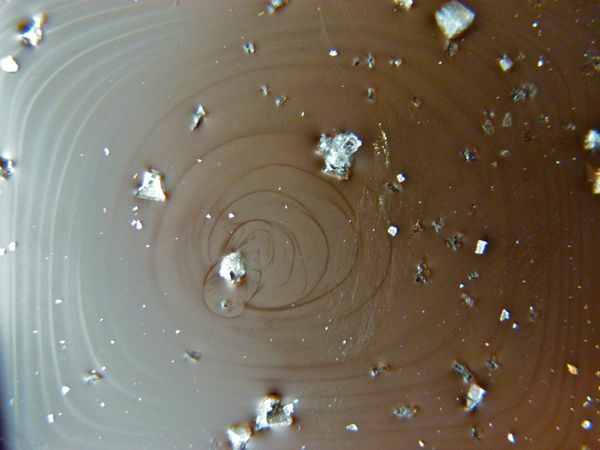 "...we have sprinkled Prussian Blue salt, for sparkle, and Bali Sea Salt, for crunch. We sourced both of these salts with the advice and the help of The Meadow in NYC, home of the world's best Selmelier: Mark Bitterman, author of Salted: A Manifesto on the World's Most Essential Mineral. 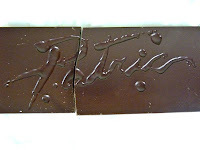 Note regarding availability: This bar is a limited edition release, and when all 950 bars are gone, Patric won't be making more. Note regarding quality: This bar is a testament to the school of thought that foods with less than five ingredients are generally better, and healthier. 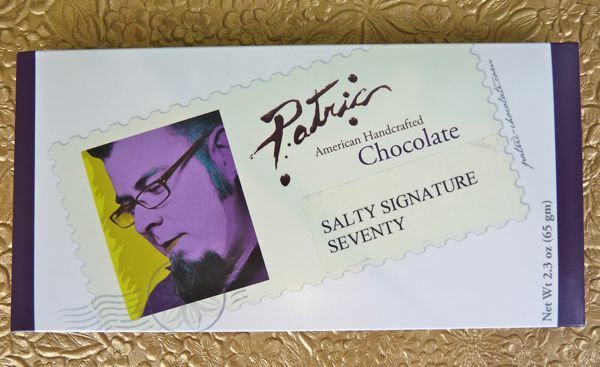 Ingredients in this Salty Signature Seventy bar were: Cocoa beans, cane sugar, cocoa butter, and the salt mentioned above.